Sam Akinmukomi will be back for Annapolis Area Christian football this coming season. The Eagles won the MIAA C Conference title last year. With practice for the 2018 high school football season a few weeks away, Varsity Sports Network’s Derek Toney takes a look at the regular season itinerary for select area teams. 2017 review: The Eagles won their second MIAA C title in three seasons last fall. The Severn school has 22 letterwinners scheduled back in 2018, led by all-league performers Sam Akinmukomi (running back), junior quarterback Ryan Idleman, senior wide receiver Thaddeus Stanfield and senior Joey Dixon (wide receiver). Toughest 2018 opponent: St. John’s Catholic Prep. The Vikings lost to Annapolis Area in last year’s final, and have been in the final four of the past five years. The Frederick school return 20 letterwinners, including all-league linemen Michael Haley. Most intriguing 2018 opponent: Concordia Prep. The Saints return to MIAA C play and should challenge for the championship. Senior wide receiver/defensive back James Mickens and defensive linemen Michael Smith are expected to be impacted performers for the Towson school. By a number: 11. 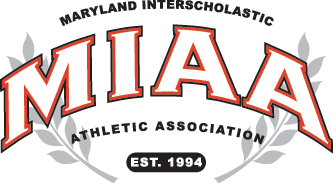 Consecutive regular season MIAA C victories by Annapolis Area.